The government will not allow “fly-by-night” data mining firms to improperly harvest social media data of Indian citizens, Law and IT Minister Ravi Shankar Prasad has said. In an interview to PTI, he said that while the government is supportive of the social media, it will not allow abuse of the platform nor “irresponsible traffic in data commerce”. The government has already slapped notices to the controversial, UK-based data mining firm Cambridge Analytica for improperly obtaining information from tens of millions of Facebook users globally, including in India and is awaiting its response. “…no fly-by-night operator will now be able to play with data. I am all for campaigning on social media and these platforms but you cannot play with the (user) consent,” Prasad said. The comments assume significance in the run up to general elections slated next year. Cambridge Analytica, a data-mining firm embroiled in a scandal purportedly over its work for US President Donald Trump’s 2016 campaign, is alleged to have improperly obtained information from tens of millions of Facebook users to develop political ads. India, in March, slapped a notice on Cambridge Analytica to explain if it was engaged in improperly harvesting Facebook data of Indian citizens. The second notice was sent last month. The company has since begun insolvency proceedings in the UK and also filed for bankruptcy in the US after losing “virtually all” customers and suppliers. “India has sent out a very clear and firm message to these data companies that you cannot take the country lightly… I am very firm, we hold our democratic credentials very strongly,” said Prasad. 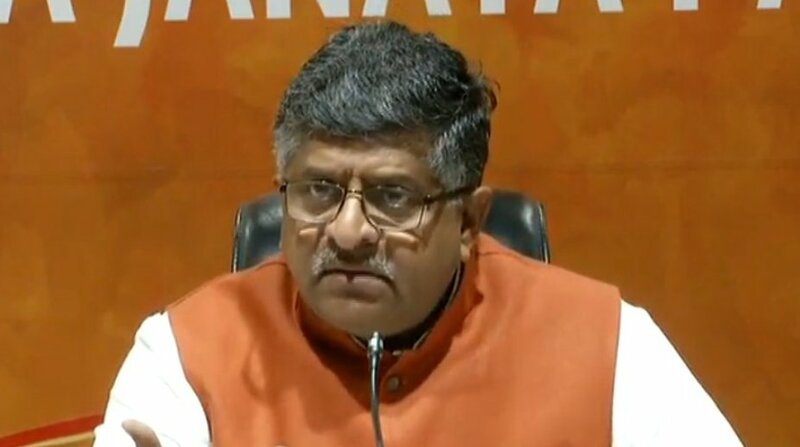 The IT ministry will wait for Cambridge Analytica to respond to the second notice, Prasad said, adding that a final view in the matter will be taken once the reply comes in. Earlier this month, Facebook responded to government’s latest notice over alleged data breach, outlining in detail the “changes made” to protect users information. But Cambridge Analytica announced its closure in a statement on its website and claimed it had been “vilified” for activities that are legal and considered a standard component of online advertising. Indian officials familiar with the line of questioning and notices sent in the data leak matter have said that Cambridge Analytica had recently indicated to the IT ministry that it intends to send response to the government latest notice. 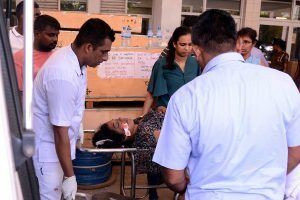 Government officials had also maintained that the shutting down of Cambridge will not impact its ongoing probe as the liability of the company existed prior to the closure announcement. Stating that he wants India to become a hub of data analysis, Prasad said that such aspirations will have to be strictly balanced with adequate safeguards for data protection and respect for user consent. “I want India to become a centre of data analysis but we are very clear that the element of consent has to be given due regard…to have a robust balance between a need for data analysis and the need to protect the right of individual data owners,” he added. India is already penning stronger data protection laws and a 10-member committee formed last year under the chairmanship of Justice BN Srikrishna (former Supreme Court judge) to give shape to the new data protection framework, is widely expected to finalize it views by next month.